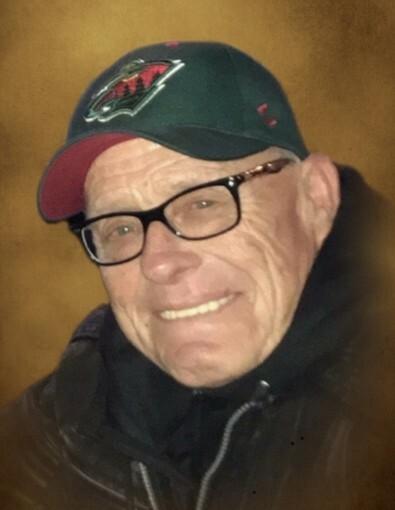 Reginald “Reggie” Schow, 65, of Willmar, passed away Monday, December 3rd, at North Memorial in Robbinsdale, MN, surrounded by family after a short battle with cancer. Visitation will be held 11:30 a.m. Monday, December 10, at First Presbyterian Church in Willmar, prior to his Celebration of Life Service, which begins at 1:00 p.m. Burial will take place at Oakside Cemetery. 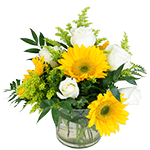 Arrangements are made with Peterson Brothers Funeral Home in Willmar. Reggie was the son of Robert and Betty (Larson) Schow. He was born February 2, 1953 in Willmar. Reggie grew up in the Willmar and Blomkest area and graduated from Willmar High School with the class of 1971. After graduation, Reggie worked with his dad and brother Nathan on the family farm. In 1972, he married Peggy Ferguson, his high school sweetheart. They made their first family home in rural Danube where they welcomed their first child, Kyle. They later moved to the family farm in Blomkest where they completed their family, with daughter Sara. Reggie loved spending time with his family and friends at the cabin on Green Lake and at Lake of the Woods. He also enjoyed farming, watching movies, fishing, watching his grandchildren play sports, riding his Harley and listening to some great music…loudly, around bonfires. Reggie is survived by his wife of 46 years, Peggy of Blomkest, MN; son Kyle Schow (Katie) of Willmar, MN; daughter Sara Swift (Eric) of Saint Paul, MN; grandchildren Carter, Claire, Easton & Lucy; mother Betty Schow of Willmar, MN; mother-in-law Corinne Ferguson of Willmar, MN; sisters-in-law Wendy Pfeifer (Rod) of Anoka, MN; Kristy Schow of Blomkest, MN; brothers-in-law Robert Okland (Shirley) of Litchfield, MN, Lyndon Swenson of Raymond, MN, and Jeff Duke (Diane) of Spicer, MN; and several nieces and nephews. Reggie was preceded in death by his father Robert Schow (2007), sister Renee Duke (2005), brother Nathan Schow (2014), sisters-in-law Linda Okland (2004) and Laurie Swenson (2013), father-in-law Lavern Ferguson (2007), and niece Karin Pfeifer (1987).